VPNs are growing in popularity as it gives its users lots of benefits and capabilities. These improve your connection’s privacy and security. And it also grants you access to geo-blocked content. And these are needed for different reasons. In China, Thailand, and Indonesia for example, where people use VPNs to overcome government restrictions. On the other hand, Europeans are in need of a safer way to browse the net. One report even states that 29% of Chinese internet users are using VPNs. In knowing that VPNs are becoming a staple of every internet user, it makes sense on how to install one. And that’s what we’re going to talk about here. VPN vs. DNS Proxy: What’s the Difference? Apart from VPNs, you might have also heard about DNS proxy. And you most likely confused one from the other. Well, the two may have similarities with each other, but they’re entirely different things. 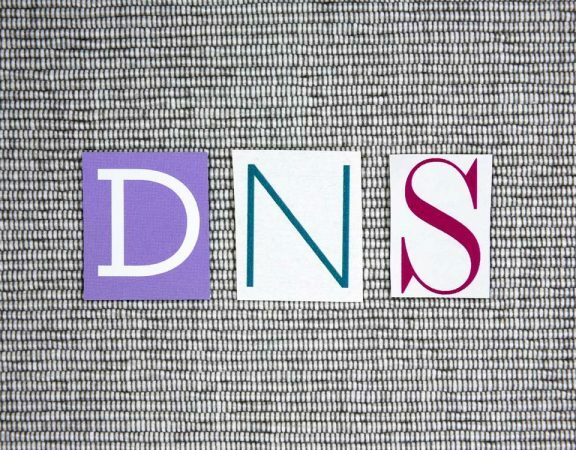 DNS proxies merely re-reroute the traffic you get from sending and receiving data. It does this without hiding your IP address. It also doesn’t provide any encryption, which is needed to ensure your security and privacy. Unlike DNS proxies, a VPN creates a tunnel that lets you access sites from different locations. It doesn’t re-route the used traffic. Instead, it creates a pathway that only you can use. This makes VPNs a safer way to connect to the internet. Its improved security comes at a cost as it needs to use a lot of encryption for data to travel through the tunnel. This results in slower internet speeds due to the heavy encryption process it undergoes. Though this happens at times, it’s not always the case, especially if you’re not into heavy streaming. The best thing about a VPN is its superior security. If you’re using this to gain access to blocked files, then a VPN is what you need. It hides your exact location and identity, saving you from piracy lawsuits when streaming illegal content.This happens because you don’t need to create a new physical connection to your destination. The data merely travels through pre-existing wires to-and-fro your destination. Privacy is another benefit you can get from a VPN, thanks to its encryption process. What happens when you send data is that it first encrypts it. This hides your IP address, together with other personal information about your location. The encrypted data then travels through the tunnel. And upon reaching the destination, the VPN then decrypts it. It’s like double-checking the data to make sure that it doesn’t bring along malicious software. Accessing geo-blocked content is easier because you have your tunnel. You appear to be coming from a place where the content is available. This makes it perfect for people who are into Netflix or HBO Go. As some of their shows are unavailable in certain regions. But you can go around that restriction with the help of a VPN. Step 1. Know your IP address. Setting up a VPN isn’t difficult. The first thing to do is to know your IP address. Locate and write down your IP address on a piece of paper or a Notepad sheet. You visit http://whatismyipaddress.com to know your IP address. Step 2. Create a new VPN network. Head to your computer’s Start menu and open the Control Panel. Then select Network and Internet and click Sharing Center. Then click Setup a new connection or network when you’re in the Network and Sharing Center. Click Connect to a workplace. Choose Use my Internet connection to create your VPN server. Input your IP address in the Server Address field and click Next. If you’re a Windows 8 user, you can hover your mouse on your screen’s right side. This pulls down the Settings menu. You can then use the Search bar and type VPN in the pop-up window. Click Setup a VPN connection. This leads you to the page for creating a connection. Type down your IP address and click Connect. The VPN connection is then added to your networks list. Input your login details when connecting to the VPN. Type your username and password in the respective field boxes. Then hit Connect. This will then connect you to your VPN connection. If you encounter any connecting problem, it might be due to your server’s configuration. It’s best to contact your ISP if you’re unable to access the VPN. You can also make changes in the Properties menu found on the VPN connection page. Head to System Preferences and click Network. It’s found on the Internet & Network heading. Click + found in the bottom left corner. Then click VPN below the drop-down menu. Choose which VPN network type you prefer. The recommended option you choose is L2TP as it requires a passphrase for logging in. This is an extra security measure as the other types only need a username and password when logging in. Click Create once you’ve selected L2TP. The new connection is then added to your list of networks. Input your computer username in the Account Name box and click Authentication Settings. Then type down your username’s password and passphrase (if you have one). Click OK. Open another window that shows the Network and tick the Show VPN status found in the menu bar. Click Apply. You then now have a new VPN network. Now, it’s time for you to connect to your VPN network. To do this, click the new VPN icon found on your menu bar. Click Connect VPN. This then routes all traffic through the tunnel created by your VPN. You can then now use your VPN. Aside from the mentioned steps, there are still other ways to setup your VPN service. It just depends on which one you find most convenient. If you’re a starter, the best choice you can get is a browser-based VPN. These are free-to-use apps that are user-friendly. Opera is one of the most popular web browsers that come with a built-in VPN. It also has an ad blocker, which is a bonus for you. If what you’re after is to have a secure web browsing experience, then this one’s for you. This won’t take you more than 5 minutes to install it. To set it up, download the Opera browser. Then turn on its VPN and ad blocker. After that, install HTTPS everywhere. And you’re done! It’s as simple as that. You can also subscribe to a VPN service if you want a more secure connection. Just be careful in choosing as you’ll never know what they’ll do to your data. Before choosing one, make sure you know its terms and conditions. Also, double check if it’s working correctly. You can do this by visiting http://ipleak.net when the VPN is turned on. It’s also recommended for you to use a pre-loaded Visa card. This stops the NSA from keeping track of your personal information. You can also buy a VPN-enabled router. They’re not the best when it comes to privacy. Fortunately, their effectiveness in accessing blocked content makes up for it. You can use it as a tunnel to an internet connection you might have in another place. It’s best if you choose the high-speed VPN routers. Though they’re more expensive than the regular ones, they’re still worth it. With all these said, you can see that it’s not that difficult to setup a VPN. All you need to have are the right tools, techniques, and guidance. And that’s just what we gave you in this article. Hopefully, you can now have a safer and faster browsing experience. Also, remember to get some sleep because you might be too hooked-up with your unblocked Netflix shows! What is the Smart DNS Proxy Price of the Best Service?